Health maintenance is an important part of Columbus Chiropractic Care Center’s practice. You not only want to get healthy and pain free, but you want to remain that way. You can count on us to help develop a personalized plan to help keep you healthy and as pain free as possible! Healthy and Active is the Best! When it comes to our patients, we love to see all of you healthy, active, and happy because you’re pain free. When you come to Columbus Chiropractic Care Center you’ll find us dedicated to getting you there, too! From finding out the causes of your chronic pain and helping you correct them, to spinal adjustments and lifestyle changes, we’re here to help you get the healthy and pain free life you’re striving for! 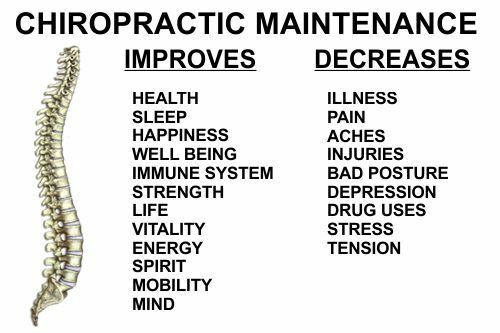 Health maintenance is an important part of chiropractic practices! When the pain is too much to stand, contact us through our form, or call 920-623-1106 and get Columbus Chiropractic Care Center on your side to a speedy recovery! Service Area: Columbus, Sun Prairie, Watertown, De Forest, Lake Mills, Juneau, Deerfield, Randolph, Rio, Fall River, Lowell and surrounding communities. Page Summary: Columbus Chropractic Care offers a chiropractor near me, relief of pinched nerves, sciatica pain and slipped discs. Services such as lower back pain relief, back doctor, spine pain as well as advanced chiropractic are also part of the scope of our business. We also specialize in family chiropractic, severe back pain in Beaver Dam, Cottage Grove, Poynette as well as Columbus. Other areas we serve include Watertown, Lake Mills, Waterloo and Sun Prairie. We also service De Forest, Marshall and beyond.